Metallica performed the “Hardwired…To Self-Destruct” track, “Spit Out The Bone”, at the first of two shows at the Ericsson Globe in Stockholm, Sweden on May 5, and the band are sharing professional footage from the event. The group will wrap up their current arena tour of Europe in Helsinki, Finland on May 11 before returning to Stockholm for a June 14 ceremony where they’ll receive Sweden’s prestigious Polar Music Prize. The honor will be presented by His Majesty King Carl XVI Gustaf of Sweden. "Receiving the Polar Music Prize is an incredible thing,” says drummer Lars Ulrich. “It puts us in very distinguished company. 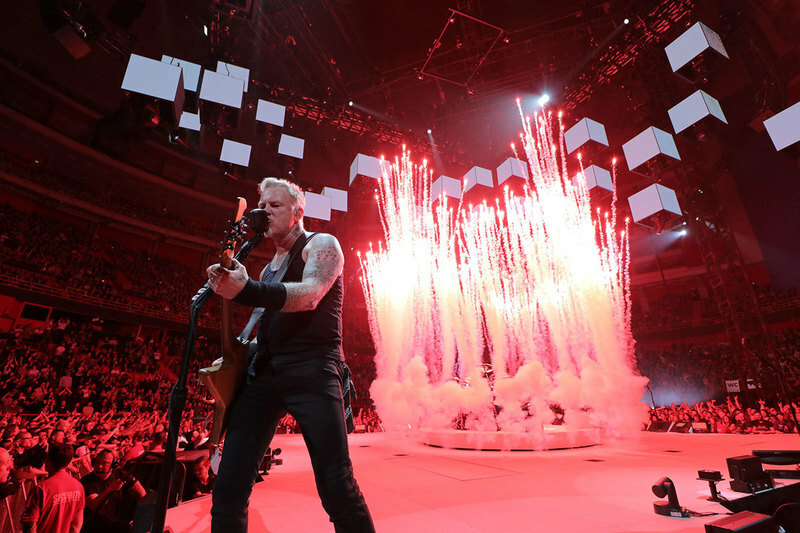 It's a great validation of everything that Metallica has done over the last 35 years. At the same time, we feel like we're in our prime with a lot of good years ahead of us. Thank you very much." Each honoree receives a total amount of one million Swedish kronor (US $125,000); Metallica will donate the funds to their All Within My Hands Foundation, which is dedicated to creating sustainable communities by supporting workforce education, the fight against hunger, and other critical local services.